First of all, before I even tell you what I'm doing, I'm just going to say that you should never ever ever lower the opacity on base layers e.g.Skin. Ever. Unless you're aiming to be a translucent ghost because keeping the base underneath for 'realism' or 'shading' just looks bad and lazy. No offense. Today I'm going to share with you my technique of drawing highlights and shading. 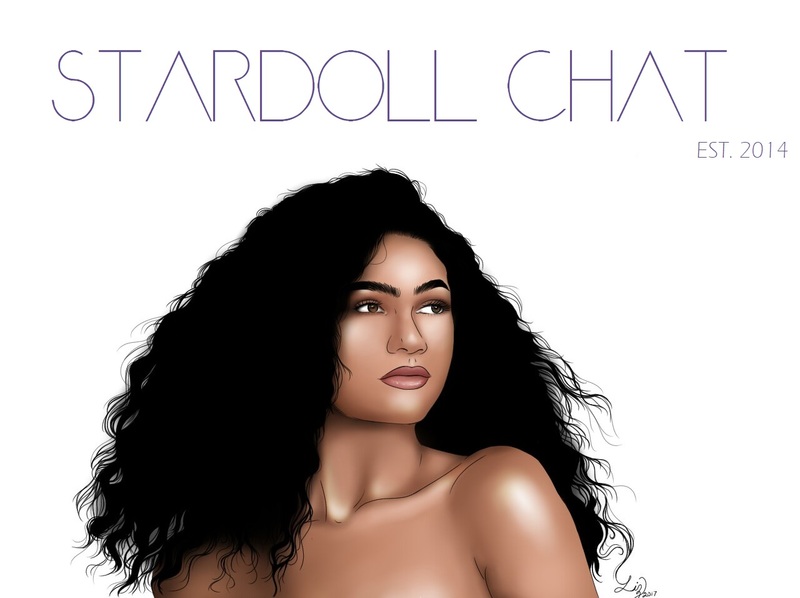 A lot of people that are members of Stardoll also want to learn how to do graphics. Without help from other people it can be so hard and frustrating but never give up! Like I've said before in previous posts, I always use Gimp. 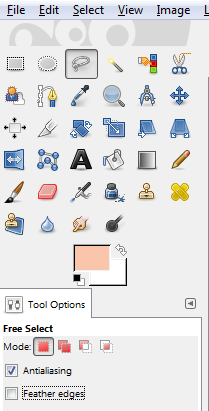 Paint just won't work if you're looking to make a nice, clean graphic and Photoshop really isn't necessary (but I'm sure those who use it could tell you the difference but I don't see one by looking at the finished products from both). Download Gimp [here]. It's free, fast and safe. Now I'll get to it! 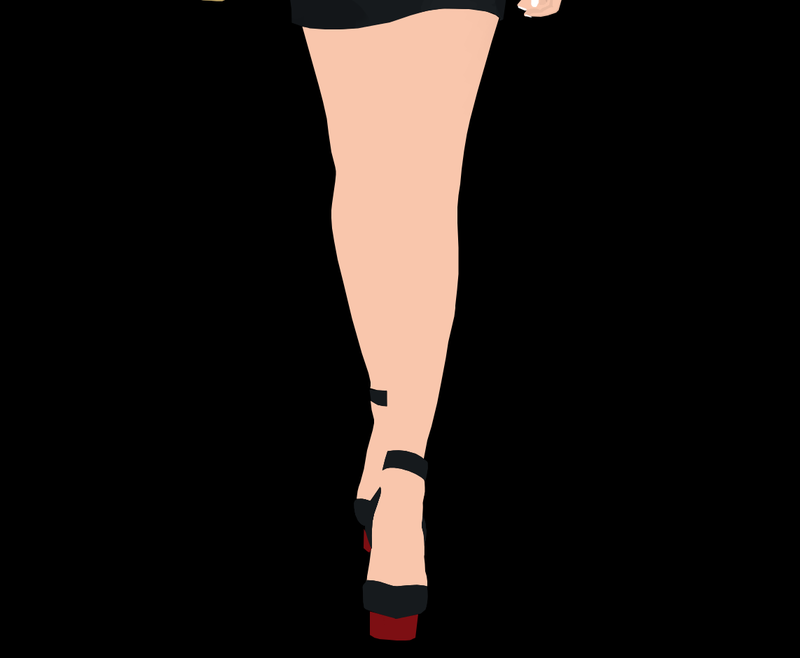 I'm going to show you what I do with legs as an example since they feature a lot in graphics. One of the things that kills the quality and realistic feel of most beginners graphics is the "Feather egdes" setting. Do not click this! Your body doesn't fade out at the sides! Okay now that your settings are right. 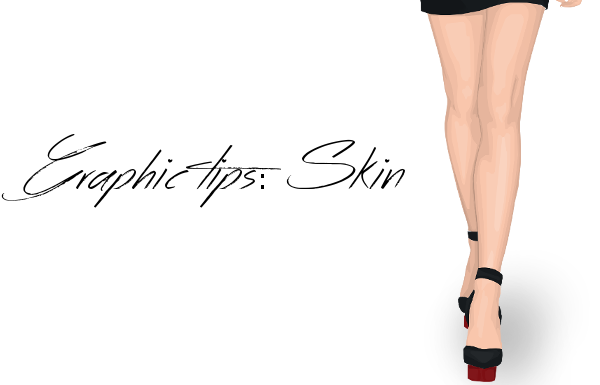 Carefully outline the edge of the skin using the "Free Select Tool" which may be called the lasso tool on other programs. If you accidentally put it in your reference layer instead of your skin layer press CTRL + Z to go back. CTRL + Y is forward. Now onto the hard part. Shading. Personally, I don't like extra dark shading so I use 3-4 dark layers and 2-3 light layers depending on the reference. Some people would do a lot more but I feel like too much more than that would be.. well too much. Today the posterize tool is your best friend (Colour>Posterize). Posterize a copy of your reference layer (so you can refer back to both). Now you can see where all the shading and highlights go. Don't follow the layers exactly as they are! They can be pretty lumpy so make them neater. I made this to try to explain where the layers are because not everyone can see them. There is on extra layer that I call ''lines' where you draw the line between the two legs (or fingers for example) with the free select tool. -Start with the lightest dark shade (dark) and move on to darker, darkest then extra dark if you need another layer. -Use the free select tool for this but zoom in close and click don't drag unless you know you have a very steady hand or a stylus. Even if you do have a stylus I always recommend using the 'click' method. -When you're doing the light layers you can use the dark layers as a guideline for "light" but make sure to leave a gap and use the posterized layer as a guideline for ''lighter'' and ''lightest''. It can't go from shade to highlight or it won't look as good. If you don't think it's going well you should still finish, just in case! If you're not happy with it afterwards redo it. Don't leave something there that you're not happy with. -If you're doing light skin use a black background and white for dark skin so you can clearly see the edges. If anything looks sharp or edgy go back over it.